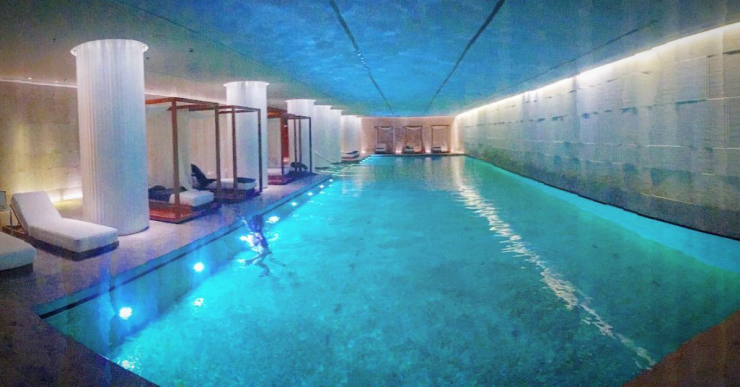 This week I finally used my invitation to spend a day at the luxury Bulgari gym to try it’s beautiful facilities. I must say that it definitely was an aesthetic experience -you can easily spend a whole day in the sleek and calm facilities soaking up the sumptuous relaxing vibe. 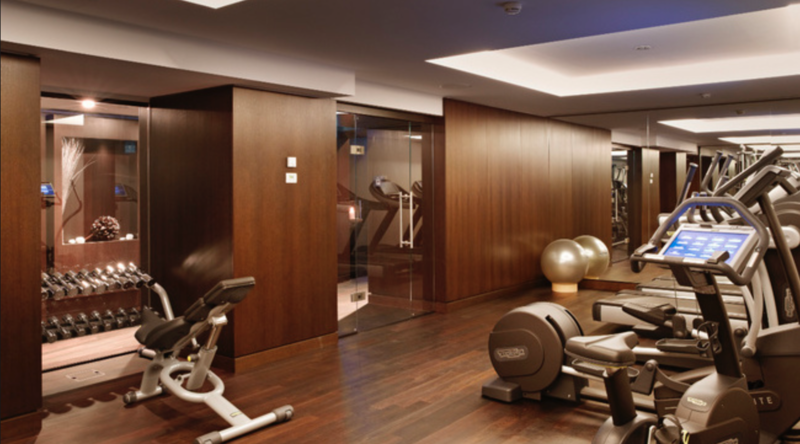 The hotel has it’s own Technogym workout room with timber walls and ceilings as well as the Bodyism HQ, run by Australian James Duigan*. Bodyism helps clients achieve ‘long athletic body’ and all clients are given a bespoke daily diet and fitness regime. The whole workout area isn’t huge – about 150 sqm. It has everything you need though. A boxing area, Pilates reformer, squat rack, free weights, stretching area and treadmills. I took one of my clients with me to try out all the facilities and we made sure that we made the best out of the experience. The facilities of the SPA include a dreamy stunning 25m swimming pool decorated with gold and green mosaics as well as vitality pool lined with gold leaf . We were a little tired after the workout, so had a snooze at the beautiful wooden cabanas with muslin curtains and snacked on nuts and fresh fruit. The SPA has 12 treatment rooms and a relaxation area. It’s spacious and blissful and one of the most exclusive in London. The interior is so impressive, crafted from onyx, oak, Vicenza stone and glass mosaics. The facilities also include a ‘Finishing Studio’ which is a super glamorous room dedicated to hair, manicures and pedicures. 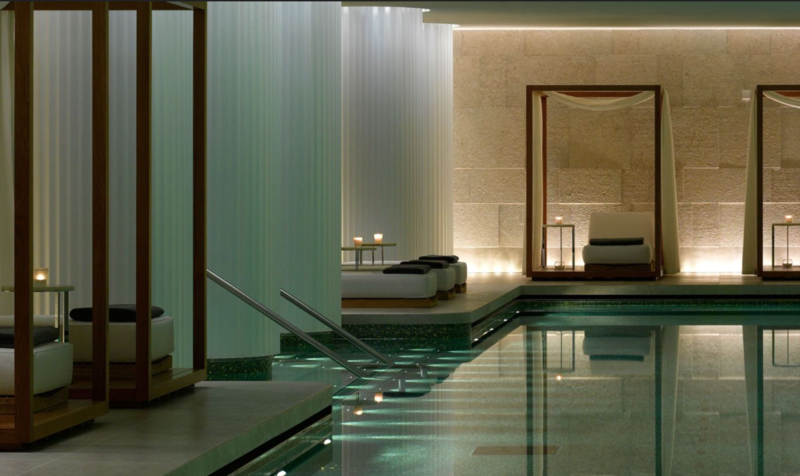 *Sessions with a trainer are available only to Bulgari Spa members (£5,000 a year plus £2,000 joining fee) and cost from £100 an hour to £250 an hour for James Duigan himself. Daily membership is 400GBP.